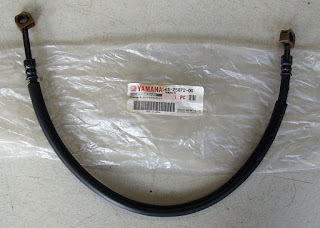 V-Star 1100 brake hose. This genuine Yamaha partnumber 5KS-25872-00-00 is available. Fits 1999-2011 Yamaha V-Star 1100 models.